Kingdom Wealth Alliance provides no information on its website about who owns or runs the business. The Kingdom Wealth Alliance website domain (“kwamembership.com”) was privately registered on September 16th, 2018. Two other domains used by Kingdom Wealth Alliance, “kingdomwealthalliance.org” and “kwaaffiliate.com”, were also privately registered last year. In the comments at the footer of the “kwamembership” website, Stan Harris is referenced as having something to do with the company. Dr. Stan Harris a.k.a. Dr. Breakthrough and his KWA Team of experts have a proven track record of discipline, diligence, and integrity. BehindMLM reviewed Power Lead System in 2013. The recruitment-focused opportunity is owned by Michael Price. Marketing videos on the Kingdom Wealth Alliance website are hosted on a YouTube channel in the company’s name. [2:50] Kingdom Wealth Alliance is an alliance of experts … that are gonna teach people how to be financially wealthy. We’re gonna start there just because that’s what most people are focused on. But a lot of people are going to find out very quickly that Jesus talked more … about finances then he did about salvation. Why? Well you’re gonna find that out through Kingdom Wealth Alliance. Stan Harris is a serial scammer, perhaps best known as a top investor in the OneCoin Ponzi scheme. By the grace of God I was the #1 recruiter and #1 income earner in 3 Companies simultaneously! One company had 2.2 million members in it and 1.5 Million were on my team! After OneCoin collapsed in January 2017 Harris stopped promoting it, leaving the 1.5 million investors under him in the lurch. Prior to OneCoin Harris was promoting National Wealth Center, a Peter Wolfing cash gifting scam. 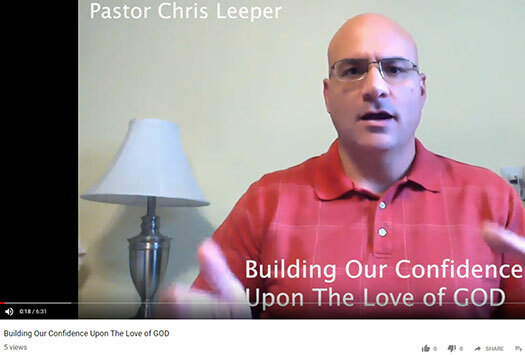 If Chris Leeper has an MLM history he’s kept it low-key. I suspect he’s found his way into Kingdom Wealth Alliance on the back of Price, Harris or both. Read on for a full review of the Kingdom Wealth Alliance MLM opportunity. The unfinished (and seemingly abandoned) “kingdomwealthalliance.org” website lists “customers” and “kingdom business owners” memberships for $29.97 and $14.97 a month respectively. 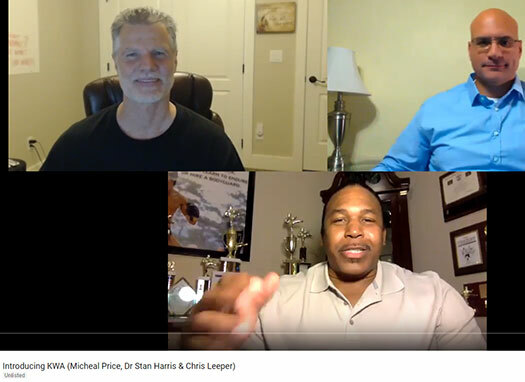 In an official Kingdom Wealth Alliance compensation plan video narrated by Chris Leeper, access to marketing tools is priced at $97 and then $29.97 a month. Kingdom Wealth Alliance membership provides access to various online marketing tools and “private members only training”. Note that Kingdom Wealth Alliance affiliate membership is an additional cost over basic customer membership. Kingdom Wealth Alliance affiliates are paid on the sale of $97 customer memberships. These memberships can be purchased by retail customers, the affiliate themselves (counts as one membership sale) and/or recruited affiliates. Kingdom Wealth Alliance membership commissions are paid initially on a 2×2 matrix. Rank progression expands the matrix to a 3×10. In total a 2×2 matrix houses six positions to fill. A 3×10 matrix is generated in the same manner as a 2×2 matrix, except each new level is a multiple of three and the matrix extends down ten levels instead of two. Kingdom Wealth Alliance pay commissions on initial and monthly recurring membership fees, paid by retail customers and directly and indirectly recruited affiliates placed in the matrix. Note that monthly residual commissions are paid only for as long as retail customers or recruited affiliates in the matrix continue to pay monthly membership fees. To qualify as an Advocate a Kingdom Wealth Alliance affiliate must personally sell and maintain at least one customer membership (can be an affiliate’s own membership purchase). To qualify as an Ambassador a Kingdom Wealth Alliance affiliate must personally sell and maintain at least three fee-paying memberships (can be recruited affiliates paying for customer memberships). To qualify as a Shepard a Kingdom Wealth Alliance affiliate must personally sell and maintain at least nine fee-paying memberships (can be recruited affiliates paying for customer memberships). To qualify as an Evangelist a Kingdom Wealth Alliance affiliate must sell and maintain at least fifteen fee-paying memberships (can be recruited affiliates paying for customer memberships). Kingdom Wealth Alliance affiliate membership is $49 and then $14.97 a month. If an affiliate self-qualifies for commissions they are looking at an additional $97 and then $29.97 a month. Commission self-qualification brings the total cost of Kingdom Wealth Alliance affiliate membership to $146 and then $44.94 a month. Michael Price has previously repurposed Power Lead System’s marketing tools. It appears Kingdom Wealth Alliance is simply the latest repurposing. The religious twist comes courtesy of Chris Leeper and Stan Harris. Harris in particular relies heavily on religious affinity fraud to promote the various scams he’s been involved in over the years. If you haven’t had your daily dose of cringe, just head over to Harris’ Facebook page for plenty of theatrical examples. At its core Kingdom Wealth Alliance attaches Michael Price’s marketing tools to a recruitment-driven pyramid scheme. Retail customer membership is offered but added only for pseudo-compliance. All of the Power Lead System reboots have collapsed, demonstrating a lack of retail viability. The way this model works is Kingdom Wealth Alliance sign up and fund their commission qualification. That gets them four level of the matrix. To unlock the higher tiers they simply recruit other affiliates, each of whom funds their own Advocate commission qualification ($97 and then $29.97 a month). Verifying this yourself is easy enough. 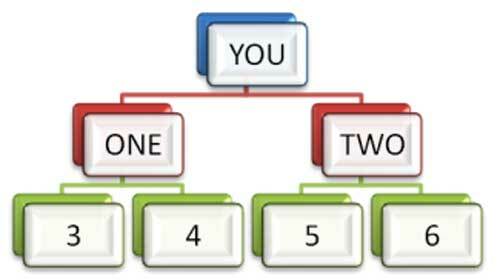 Just ask your potential Kingdom Wealth Alliance upline what rank they are. Match that with how many membership sales they need to have maintained (1 to 15) and then ask how many of these required memberships are true retail customers paying the $29.97 monthly fee. The fact of the matter is if Power Lead System’s marketing tools were retail viable, the original business would still be around. Like Power Lead System and its various reboots however, Kingdom Wealth Alliance will collapse once affiliate recruitment slows down. Being a matrix-based scheme, through one or more preloaded admin positions , Michael Price, Stan Harris and Chris Leeper will receive the majority of commissions paid out. A few early adopters (downlines from other schemes) will make a bit, with everybody else (the overwhelming majority of KWA affiliates) losing out when the music stops. STAN HARRIS: Serial Scammer that has used religion to steal from his flock for years, I hope he goes straight to hell for his fraudualent activities.